You are moving out and there is no time for a final cleaning in your busy schedule? How about booking our professional end of tenancy cleaning services available in the entire Hammersmith, W6? We can help you to move out without any difficulties and this is not going to cost you a fortune. 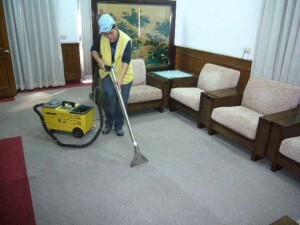 We are a reliable cleaning company with high achievements in the field of cleaning. Hundreds of tenants have already taken advantage of our immaculate end of tenancy cleaning and the results of our work are always highly appreciated. Give us a chance and no matter the condition of the property, we will make sure that it is cleaned entirely for the inventory inspection. Every cleaner in our staff passes special training and works with the most efficient cleaning tools and detergents. What do we give our customers? Choose our company and our cleaners will carry out deep and profound cleaning in every area of your leased property. Their performance will surpass the expectations of even the most critical landlord. We promise that the full amount of your deposit will be given back to you. Our end of tenancy cleaning is suitable for every need. All tenants, landlords, and estate agents are welcome to contact us. Our dedicated cleaners can assist not only every lodger, who needs an end of tenancy cleaning but also every landlord, who wants to prepare the property for the new tenants. Just give us a call and we will send you a team of experienced and friendly cleaners, no matter where in Hammersmith, W6 is your property situated. Changing homes can be less painful and more exciting if you decide to book our company and our amazing end of tenancy cleaning services. Our professional cleaners can deal with any type of stain or grime. We are the company in Hammersmith that can guarantee its customers to receive the full amount of the security deposit. All of our housekeepers are hard-working and ambitious individuals who are aware of how to deal with the peskiest stains without breaking a sweat. Do not have second thoughts to book our end of tenancy cleaning services and we will make you happy for choosing us.